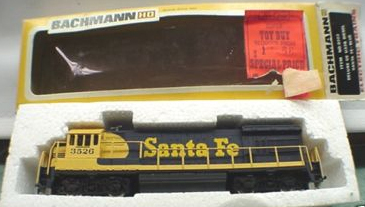 The red and silver passenger warbonnet decorated was a long time offering in Bachmann's line under the U36B name, this freight blue and yellow warbonnet Santa Fe U-boat was unique to the U33B offering of 1976 and 1977. Seaboard Coast Line was a buyer of GE's U33B and rostered nearly 30 examples. SCL also owned the most of the similar looking U36B diesels with over a hundred. The Bachmann example carries roadnumber 1734, which is accurate for an SCL U33B. Bachmann catalogs a U33B Diesel for a time in the mid 1970s. The U33B featured the same shell utilized by Bachmann for its U36B offering. Prototypically the General Electric U33B and U36B models do share outward bodystyle appearances, so this was not a misleading label for the model. 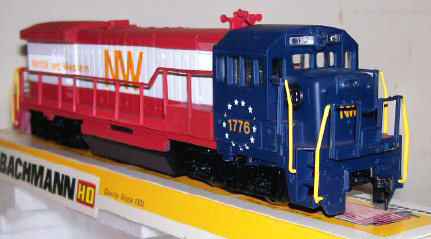 Bachmann's U36B is introduced in the company's 1973 product catalog and the model featured an all-wheel powered drive. The U33B is first cataloged in 1976 and returns again in 1977. The U33B had a single powered truck drive, which is what made the difference between it and Bachmann's U36B will all-wheel drive. The U33B is shown with a retail price of $18 in the 1976 catalog. The model is gone as of the 1978 catalog. 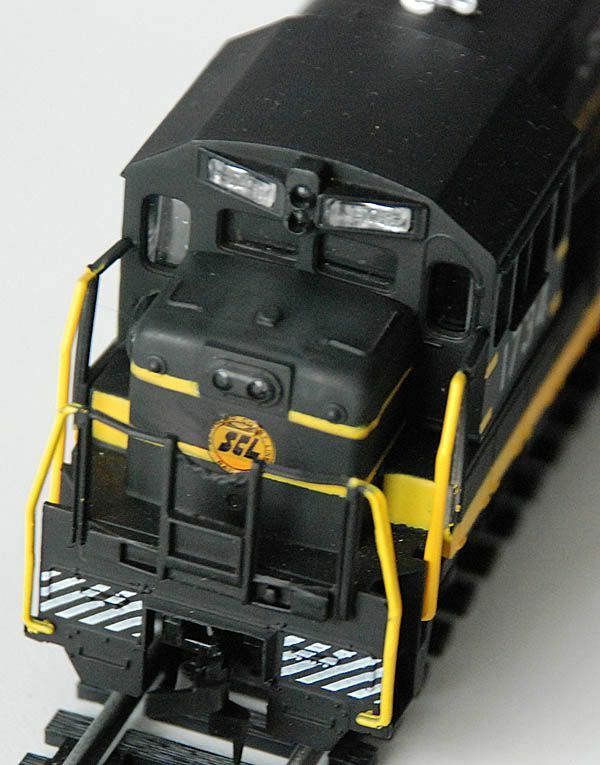 Bachmann began using the single powered truck drive in its diesel offerings by the late '70s, thus negating the need to differentiate two U-boat offerings.